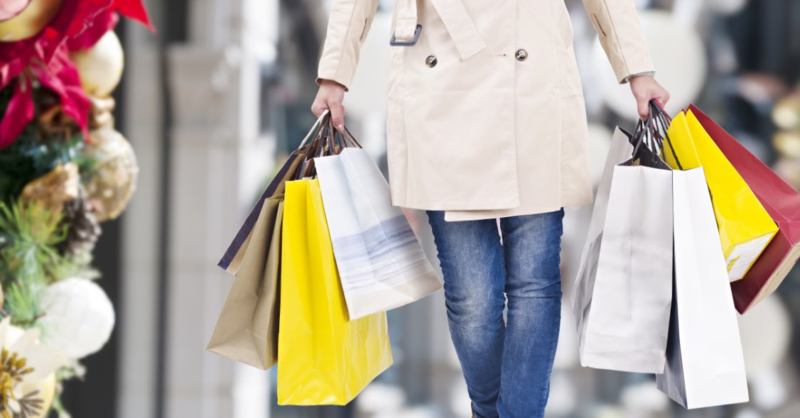 Holiday shopping can be expensive, time-consuming and sometimes even overwhelming. For those looking for one online network that can bring the savings to you, look no further than Prodege. Our family of consumer loyalty brands, Swagbucks, MyPoints, ShopAtHome and MyGiftCardsPlus, reward members with free gift cards or cash back for the everyday things they are already doing online. But now we are upping the ante for the Holidays! Swagbucks Cashback: To celebrate the holidays in style, earn increased cashback shopping online with Walmart, Amazon, Macy's, and JCPenney, or take a winter getaway with Priceline (up to 10% cashback). MyPoints: For the gift that keeps on giving, check out Hulu, Dollar Shave Club and hundreds of other merchants with increased cashback on offers that you'll be celebrating all year round. Shopathome: Three times the cash back, three times the savings. Shop at retail favorites Microsoft, Sephora and many more, with special bonus savings on Black Friday & Cyber Monday. MyGiftCardsPlus: Need to spruce up the house before the family comes over? Shop MyGiftCardsPlus for discounted gift cards from Home Depot, The Container Store or Overstock, and save on every purchase! The National Retail Federation forecasts holiday retail sales to increase about 4 percent this year, but that doesn't mean it has to hit your wallet! David Weinrot, COO, Prodege remarks, "We've already given away over $485,000,000 back to our loyalty program members. There is always extra excitement in our office as we get ready to create more rewarding holiday moments for our members and their families." Be sure to visit any of our shopper sites for offers from additional leading retail brands like Gap, Lowe's, Target, Kohl's, Stubhub, Nike and Groupon. Prodege, LLC operates multiple online brands that deliver content and rewards to more than 40 million members. Prodege's flagship site Swagbucks is the web's most popular rewards program offering users free gift cards for their everyday activities and purchases online. Prodege also operates the shopping rewards programs MyPoints and ShopAtHome, gift card destination MyGiftCardsPlus, market research firm ProdegeMR, direct response platform ProdegeDR, and video network ProdegeVN. With over 200 employees, Prodege was named a 2016 Best Place to Work in Los Angeles. Prodege is responsible for over $500 million in annual gross merchant sales and its programs have paid out more than $485 million in gift card rewards to consumers. Founded by Josef Gorowitz in 2005, Prodege is led by CEO and Chairman Chuck Davis, former CEO of Fandango and Shopzilla, and is headquartered in El Segundo, CA.